Cacti are prickles of fun! Seriously, though they may not be fun to touch, but they still can be nice to help beat the winter blues. Much like houseplants, cacti require some attention. Thinking back to what we talked about with houseplants one of the quick things that can be done with your cacti is changing the pots. Pots can be changed when cacti have outgrown their old ones, which due to the slow growing nature of cacti doesn’t happen very often or simply because its time to spruce up an old pot. Since it’s the winter and we are looking for things to help get us in feeling like spring it’s a nice time to stop and evaluate the condition of a plant that is probably often neglected being its such an easy plant to care for, plus cacti can be a little hard to handle. ‘Golden Barrel’ cactus. Botanical name: echinocactus grusonii. Another forgotten task is cleaning the cacti. Think of it this way, cacti in the wild are rained on, at least occasionally. This means that some of the dirt, dust, and other elements that they are exposed to are rinsed off of them. Luckily indoors they are not exposed to such extremes most of us to do not water over them like a rain shower would. While I do not recommend giving your cacti a bath, because ouch! I do recommend using a squirt bottle to squirt the cacti to remove some of the built up dust. Now is this a required thing? No. However, it will help keep your cacti looking its best and keep it from catching any potential diseases. I also find for individuals with larger cacti this task will be useful for helping to watch out for potential issues your cacti may develop. 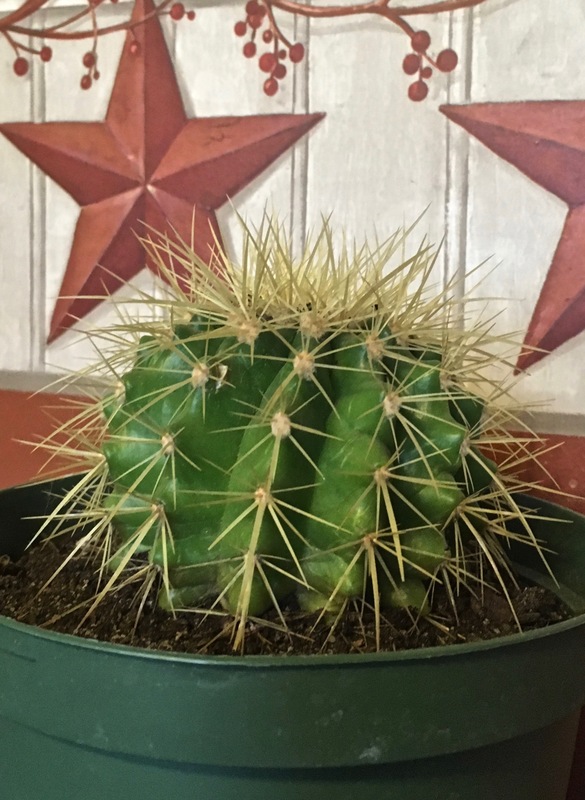 This entry was posted in Gardening and tagged Cactus, Gardening, Golden Barrel cactus, House Plants, Master Gardeners, New England, New Hampshire, Strafford County, Strafford County Master Gardeners, UNH Cooperative Extension. Bookmark the permalink.